At BMW of Westchester, we do more than just sell cars. We take care of them, too. Our service center technicians have long assisted residents in Westchester County, Yonkers and Hartsdale with vehicle service needs. If you’re the owner of the standout crossover 2018 BMW X1 SUV, you know what a joy it is to drive. But vehicle maintenance must be performed to keep that car in great shape. We’ve compiled this maintenance schedule, so you know when the BMW X1 should be serviced and what services it needs. Below, you’ll have a chance to see the maintenance schedule for your 2018 BMW X1. This schedule has mileage intervals and discusses some of the services that should be completed with these mileage intervals. When driving a Sports Activity Vehicle®, routine maintenance can go a long way to protecting it. We’re happy to handle any tune-ups or maintenance for your X1. 10,000 Miles: This first visit requires an oil change and change of the oil filter. Fresh oil lubricates the engine properly, so the car starts up and runs the way it should. Coolant will also be topped off. Coolant maintains vehicle efficiency and prevents the car from overheating. 20,000 Miles: Clean fuel is an important part of engine performance. Fuel filters clean fuel and ensure fuel flows into the engine and combustion chamber as it should. The filter will be checked at this point to ensure it’s working properly and will be replaced if need be. 30,000 Miles: Brake fluid will be checked at this interval. When you press down on the brake pedal, the fluid moves down the brake lines to front and rear brakes. When there’s not enough fluid, your vehicle won’t stop as it should. We’ll check the fluid and adjust as needed. 60,000 Miles: Spark plugs are critical to the success of your car and should be maintained properly. They’ll need to be replaced when the odometer hits 60,000 miles. Changing the spark plugs is one way to ensure the engine in the X1 starts at it should. Now that you’ve familiarized yourself with the 2018 BMW X1 maintenance schedule, you’re well-prepared to keep this luxury crossover road-ready as the miles add up on the odometer. 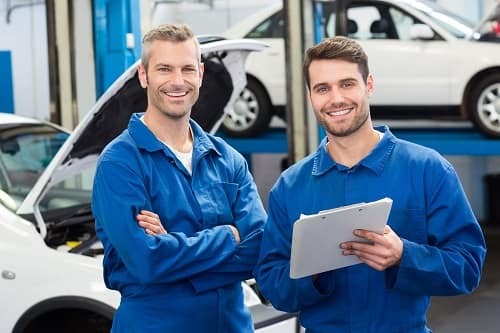 Regularly scheduled maintenance can improve vehicle performance and allows our technicians to solve minor issues before they become more severe. It’s easy to schedule maintenance online. If you have any questions about when your vehicle should be serviced next, don’t hesitate to get in touch with us. 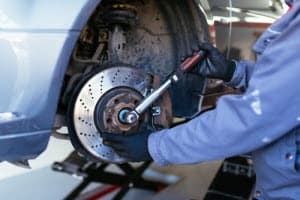 At BMW of Westchester, our service professionals are focused on keeping your car in great shape. As you drive the roads of Westchester County, Yonkers, and Hartsdale necessary maintenance will need to be taken care of. Bring your 2018 BMW X1 to our service center and let us handle it. We look forward to providing maintenance solutions.